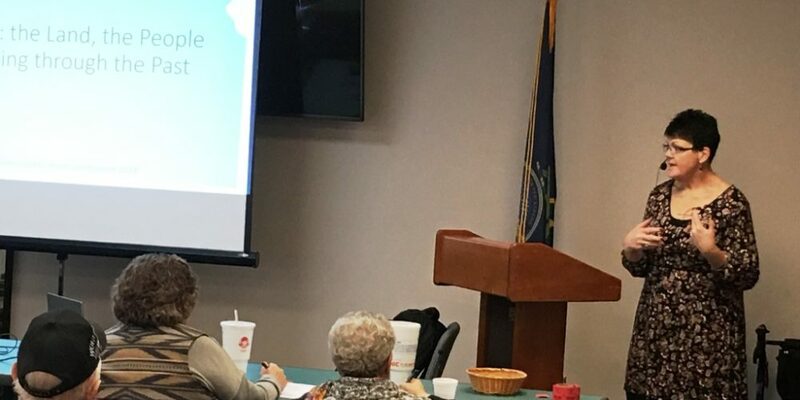 Johnetta Hebrlee, right, Finney County Historical Museum Education Coordinator, speaks during Tuesday’s first Brown Bag Lunch presentation at the museum. 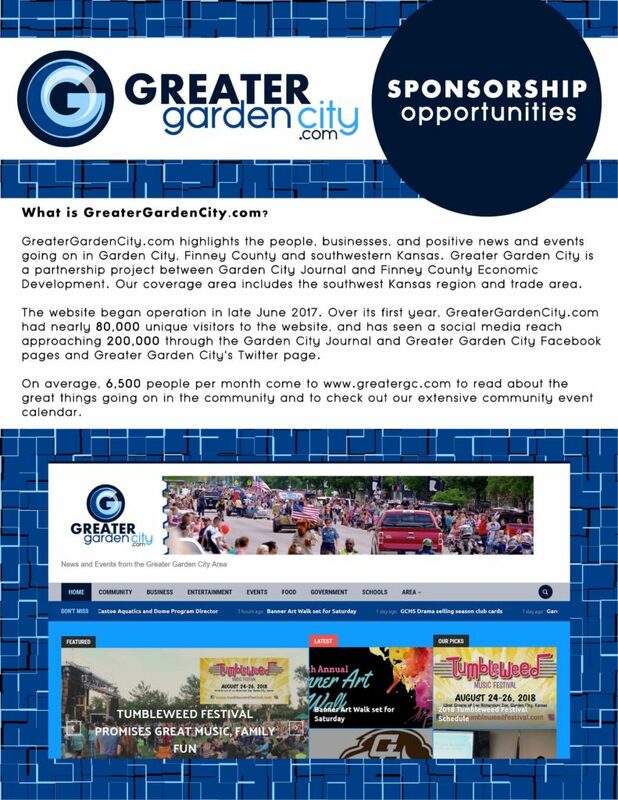 The free programs continue each Tuesday at noon through March 6. 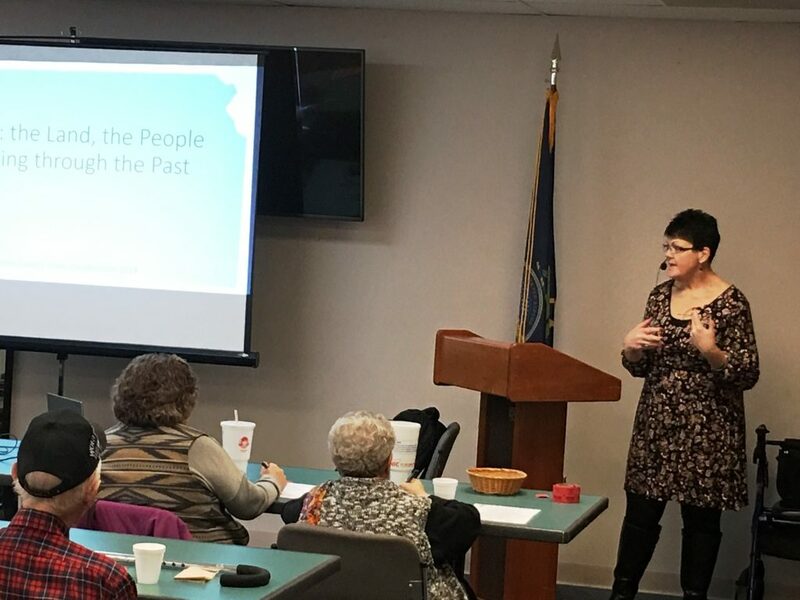 Finney County Historical Museum kicked off a new round of its Brown Bag Lunch program on Tuesday with a presentation by museum education coordinator Johnetta Hebrlee that focused on homesteading and settlement in Kansas and the southwest portion of the state.